MarkDaniels.Blogspot.com: God has no favorites! 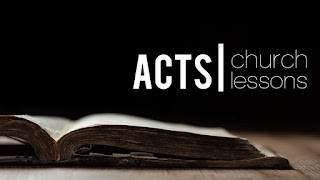 We’re considering church lessons, lessons for we disciples of Jesus Christ taken from the book of Acts. Today we come to Church Lesson #5: God has no favorites. Another way to express this insight is put on the lips of Papa, the character who represents God the Father in the novel, The Shack. Repeatedly, Papa says of people, “I’m especially fond of…” whoever it might be. In time we learn that Papa is “especially fond” of everyone, every one of us, no exceptions. God shows no favoritism. He loves all people equally. An Anglican scholar of the New Testament explains though: “This doesn’t mean that God runs the world as a democracy, or that he simply validates and accepts everyone’s opinion about everything, or everyone’s chosen lifestyle. It means that there are no ethnic, geographical, cultural, or moral barriers...in the way of anyone and everyone being offered forgiveness and new life…” through Jesus Christ. God has no favorites. Sometimes, I think that this is the hardest of all lessons for we who make up Christ’s Church to learn. We can fall into the same kind of thinking, deluding ourselves with the idea that we deserve more of God’s grace and forgiveness than others and that some people deserve nothing from God. But we are sinners saved only by the grace of God through our faith in Jesus Christ. As disciples of Jesus, we are not less than others; neither are we more. Sometimes, we forget that God has no favorites, not even us. And sometimes, we forget that Scripture teaches us that God so loved the world that He gave His only Son so that all who believe in Him will not perish, but live forever with God. God loved the world: Not just us or our family or our congregation or our posse or the people we like at our church or our country or our race. God loved and God loves the world. The apostle Peter is reminded of this truth in today’s lesson from Acts. Up through Acts 10, where today’s lesson appears, we see the Holy Spirit setting out to prompt the Church to fulfill the first three aspects of this mission. Starting in Jerusalem, the center of Judean religious and political life, out into all of Judea, then to neighboring Samaria, the message of new life for all who turn from sin and trust in Jesus and His death and resurrection for sinners, the Holy Spirit empowered the Church’s proclamation of Jesus. In chapter 10, the Gospel reaches “the world,” in a city not terribly far from Jerusalem, Caesarea. But Caesarea, named for the Roman rulers, was an outpost of the Roman world, the world beyond the normal experience of those Jews who were the first Christians. There, a Roman official, Cornelius, and his family come to faith in Jesus. Peter saw this, which is where today’s lesson starts. As if to make sure that Cornelius and his family understand just what they’re signing up for by confessing faith in Jesus and to convince the Jewish Christians who were with him (and maybe to reassure himself that it was OK for him as a Jew to share Jesus with these Gentiles), Peter then lists seven actions God took through Jesus to bring new life to all who believe in Jesus. (7) made Jesus the final judge of the living and the dead. This, as explained by one Biblical scholar, is what Peter talked about in verses 36-43 of our lesson. This event has often been called the Gentile Pentecost. As happened on the Pentecost that happened ten days after the risen Jesus ascended to heaven, when Jews who had believed in Jesus were filled with the Holy Spirit and empowered to share Christ with others, Cornelius and his family, Gentiles, were now filled with the Holy Spirit and proclaiming in all sorts of languages the good news, the gospel, about Jesus! Ordinarily, of course, we are baptized and then we receive the Holy Spirit (Acts 2:38; 19:12). But we cannot and must not limit God, even though it’s so easy for all of us to do just that when we look at the challenges and the difficulties of our lives. Whenever we find ourselves trying to limit what God can do, we should remember the words of God to Moses when Moses was doubting God would accomplish what He set out to do, “Is the LORD's arm too short?” (Numbers 11:23) (Or, as another translation renders the passage, “Has my arm lost its power?” [New Living Translation]). So, what does this all have to with you and me? Just this: God never gives up on us; it would be a sin for us to give up on anyone just because they’re different from us. Everyone in this world is as loved by God and as in need of Jesus as you and I are. We dare not write anyone off. We dare not stop praying for every possible opportunity to share Christ with the people in our lives so that they too can walk with God in this world and the next. Listen: Your world (our world) is filled with Corneliuses for whom Jesus suffered, bled, died, rose, and ascended, filled with Corneliuses who, whether they know it or not, are looking for someone to save them from their sin, from themselves, from death. And if you don't know any Corneliuses in your life right now, find them, befriend them, love them, tell them about Jesus.